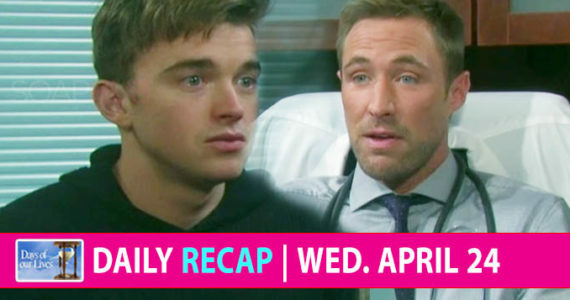 Victor was angry that Philip was seemingly wasting time with Chloe on Days of Our Lives but Philip stood up to him… and earned his father’s respect. It all started because Victor (John Aniston) was furious at Philip (Jay Kenneth Johnson) for not working to pay off a window he broke, but when Philip made it clear that helping Chloe (Nadia Bjorlin) through her cancer diagnosis was all he cared about, Victor has a surprising reaction. Do you miss seeing Philip in Salem? Let us know in the comments section.